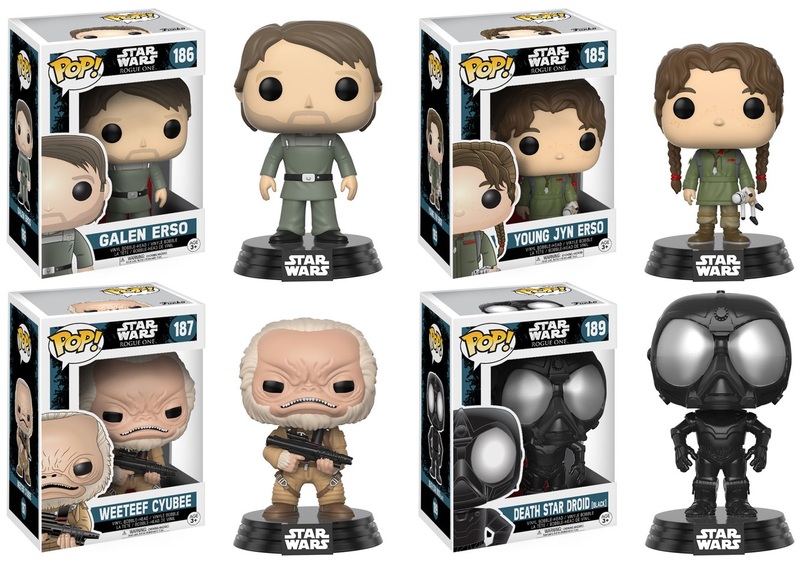 Funko is finally releasing a second wave of Star Wars: Rogue One Pop! vinyl figures!!! Although they’re really reaching to put together a full wave with this line-up. Star Wars: Rogue One Pop! 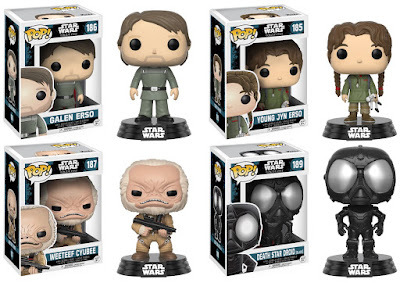 Series 2 includes Galen Erso, Young Jyn Erso, Weeteef Cyubee and a black Death Star Droid. Each Star Wars: Rogue One Pop! bobble head vinyl figure stand 3.75” tall, features one point of articulation and come packaged in a full color displayable window box. These Star Wars figures can be ordered now at Entertainment Earth for $10.99 each here.